A trade secret can be any valuable business information that derives its value because it is secret. Trade secrets are easy to protect, at least in theory, because all the law requires is that the owner of the trade secret take reasonable precautions to keep that valuable business information a secret (i.e., not known by the general public). What is reasonable will vary depending on the value of the business information, but keeping things such as customer lists in a filing cabinet in a locked office and stamping the file “Confidential” are relatively low cost efforts and should be employed by everyone seeking to protect information as a trade secret. Any other efforts you take are certainly helpful. Trade secrets can be easy to protect, but you must do something. If you do nothing to protect information as a secret it will be exceptionally difficult, perhaps virtually impossible, to convince a judge or jury that you even had a trade secret to begin with. Unfortunately, much protectable and valuable business information just isn’t protected as a trade secret because even minimal steps, such as stamping a document “Confidential” are not undertaken. Let’s explore this point about doing something — indeed anything — in a little more depth. Years ago I represented a party in a trade secret misappropriation matter in what would best be characterized as a corporate divorce. A group of friends went into business together and everything was fine right up until the moment nothing was fine. Of course, being friends, little or nothing was written on paper to commemorate a business deal, so there was no contract to envision what would happen if the company dissolved or one or more of the friends went off on their own. That is a topic for a different day perhaps, and a tragedy I see all the time. It is always better to establish expectations in writing when things are happy and there are shared dreams of the future than trying to divide rights and property after things have completely fallen apart. With nothing written down on paper the rights to the inventions created were in question. Lawsuits were filed and it was a real mess. Those unfamiliar with lawyer-speak, when I say it was a “real mess” you should read that as “unnecessarily expensive for the parties because they didn’t follow sound business practices when setting up the business.” A “real mess” of a legal dispute between former friends, while horrible for those friends winds up being great for the lawyers involved. Fighting begets more fighting and everything becomes personal. When you are in business nothing should be personal, and you absolutely need to engage your business dealings in a way that is NOT good for the lawyers, but good for the business. That means thinking ahead, anticipating possible problems and having appropriate written agreements. In any event, this dispute of which I speak was sadly typical, and with no resolution in sight. The party opposite my clients argued that my clients had misappropriated trade secrets that they rightfully owned. During the litigation of the dispute we went through discovery, which is the process of uncovering information from the other side. Time and time again we asked for information relative to how they protected the alleged trade secret. At the end of the day I was convinced they hadn’t protected it and filed motions with the Court arguing that in order for it to be a trade secret they had to engage in reasonable measures to maintain secrecy and they couldn’t point to a single protection measure they had undertaken. There were no passwords, locked office rooms, locked file cabinets or files stamped Confidential. There were no employment agreements or confidentiality agreements. Nothing. At the hearing the other side protested and I turned to them and said “reasonable protections necessarily means at least one protection. Can you articulate a single precaution implemented to protect the secrecy?” There was silence. I made my point. The case settled before the Court ruled on my Motion, which is hardly surprising. Who knows what would have been the outcome so early in the proceedings, but it is an absolute logical truth that “reasonable protections” must require at least some describable precautions implemented. Sadly, in many (if not most) instances there are no precautions or protections put in place, and that screams to me that you are not protecting your trade secret and, in fact, don’t have a trade secret. So what is the down side of trade secret protection? As with many things that are easy to acquire, they are easy to lose. As soon as the trade secret is no longer a secret you have lost all protection! Those familiar with the law know this is a bit of an exaggeration, but not by much. Yes, in some cases there will be the ability for a Court to issue orders of protection to keep a lid on a trade secret infraction, but those are only available if you act immediately and are not granted as a matter of course. Once a secret is out the Court will not issue an order of protection to try and keep a lid on the disclosure in situations where it would be impractical to regain the secrecy. Today, in the Internet age, when something is disclosed on the Internet even if you remove it from the server the digital footprint continues on, so you simply cannot un-ring that bell in all but the rarest of cases. Therefore, you really need to operate as if the loss of secrecy will result in the trade secret being destroyed because that is what will happen in at least 99.9% of all cases. Trade secrets are indeed fragile. While you can and should keep trade secrets, and you should take reasonable efforts to keep the information protected. If other forms of intellectual property are available you should at least consider them. The other form of intellectual property that you should consider, if available given the subject matter of the trade secret, is patent protection. Patents can be expensive, so running to file a patent application may not make the best sense unless the business information is particularly valuable. 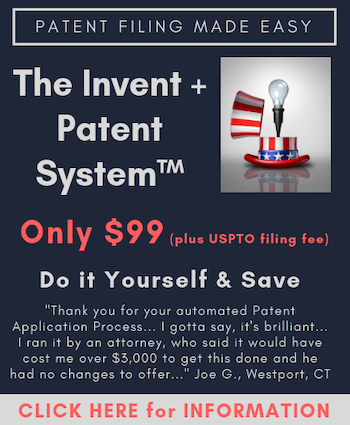 Businesses and inventors make decisions every day on whether to pursue a patent or keep a trade secret, and many others fail to make the decision because they have already lost any potential trade secret rights or don’t realize that they might have something that could be patented. As with any business endeavor, the more you know the better the decisions you will make. The old saying about a penny of prevention being worth a pound of cure comes to mind. Engaging professionals on the front end to help you set up your business, help you create a trade secret protection protocol, and to alert you to the pitfalls that lie ahead, is a cost effective way to stay out of trouble and to maximize business returns. Along the lines of “when something is disclosed on the internet”; with the proliferation of crowd funding, would an invention that is placed on a crowd funding platform to garner the money to pay for a patent still be patentable? Or would that be considered posting to a public forum/prior art? The answer to your question is “it depends.” A crowd funding platform disclosure would almost certainly be considered a posting to a public forum, at least the sites I’m familiar with. They post information so that anyone from the public can see the information not having signed a confidential disclosure agreement. That is a public disclosure. The question is “what was disclosed.” For example, the mention of a transporter in Star Trek and discussion of what it does and continuous use in the series and movies would not render the first real world transporter unpatentable because of the Star Trek disclosure. In order for a disclosure to be concerning for patent purposes it needs to teach the unique aspects of the invention. So if you were trying to raise money to be able to create something and only generically described the functionality without describing how it operated you should be OK. Of course, before doing anything like that you should consult with a patent attorney who can review what you propose to disclose and give you specific legal advice unique to your circumstance. There is another common misunderstanding re what “reasonable precautions to keep the information a secret” means. Especially, but not limited to, confidential customer testing of prototype products. Just having confidential agreements in place is not sufficient. Physical security must also be provided. That means not ever leaving the prototype in any locations where members of the general public could unobstructively observe its secret aspects, even if they do not actually do so. Absolutely true. I remember years ago reading a case where a company lost trade secrets because they were routinely giving tours to the public, particularly school groups and boy scouts, and allowing them to wander through sensitive areas where the alleged trade secrets were displayed openly for anyone to see. I’ll circle back with a more detailed article about the list of things people should do to truly keep a trade secret a trade secret, but for the masses starting with a confidentiality stamp would be better than nothing, which is unfortunately a sad commentary. I know that trade secrets are easily lost and need protection. However, I still don’t understand why under AIA it is possible to patent a long held trade secret. Isn’t it the agreement between the government and the inventor that the inventors disclose and the government protects? You are by no means the only one. There is considerable disagreement with the untested argument of some proponents that the AIA 102 may have unintentionally overruled the non-102 equitable forfeiture doctrine of Metallizing Engineering. See for example that part of the article “The Ambiguity in Section 102(a)(1) of the Leahy-Smith America Invents Act” 2011 Patently-O Patent Law Review 29. Fold into all the previous reminders, the additional point of the power of the Prior User Right (which in actuality is more of a submarine defense), and the stage is very clear that Congress – right or wrong – was very much aware that they were heading to a more Trade Secret heavy IP landscape. Thank you for this excellent trade secret article – this is extremely timely given the recent passage of the Defend Trade Secrets Act of 2016. I wonder if you have any insights on the following area that I don’t think is getting enough attention… How should “reasonable precaution” be interpreted when a trade secret is embedded inside an application? This is kind of a special case for two reasons; first, users of an application (people getting benefit from the USE of the application) are often the very people who you want to keep your trade secrets from – and the second reason is that (as I expect you already know) reverse engineering has long been generally protected – and with the new Defend Trade Secret Act – is explicitly defined as a lawful means of acquiring IP – even for (especially for?) software. Do you know of any precedent where taking active measures to prevent reverse engineering of software (or anything else I suppose) effectively demonstrated intent to maintain/preserve the secrecy of embedded IP?